These faculty members have full-time status, work in all the various faculties on our campus, and include senior faculty and department chairpersons. Our faculty who are currently under threat teach in the BA, MA, and Ph.D. programs at Birzeit University, are members of university committees, and serve the larger Palestinian community through public seminars and lectures. Already some professors have been forced to leave the country; including one from the Department of English and Literature, and a professor of European History at the Ibrahim Abu Lughod Institute for International Studies who has devoted his entire academic career to Palestine and the university for the past four decades. These international professors play a critical role not only in the ongoing provision of quality education at Birzeit University but also in the long-term development of Palestinian higher education. 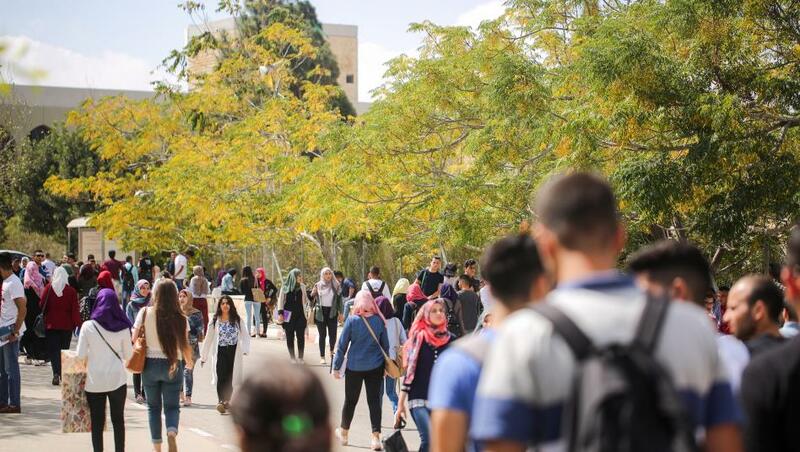 If this policy continues, Palestinian universities, including Birzeit University, will be further isolated from the global academic environment. Our ability to deliver a world-class education will be further compromised if we lose the international perspectives, diverse professional experiences and high-level skills these faculty members crucially bring to Palestinian academic life and the campus environment as a whole. In the global academic environment of the 21st Century, having an internationally diverse faculty has become a fundamental cornerstone of academic excellence at universities worldwide. If Birzeit University and Palestinian higher education as a whole are denied the right to engage international faculty members, what is ultimately being denied is our right to deliver a quality and standard of education that meets the accepted global norm. A long line of UN Security Council and General Assembly resolutions, and rulings of the International Court of Justice affirm Israel’s obligation to exercise its responsibility as the occupying power in West Bank, including East Jerusalem, and the Gaza Strip in accordance with international humanitarian law (including the Hague Convention of 1907 and the Fourth Geneva Convention of 1949) as well as applicable international human rights law. Israel is obligated by international law to both protect and facilitate the functioning of Palestinian civil institutions, including higher education. All states that are signatories to these resolutions also bear a responsibility to ensure that Israel exercises its obligations towards Palestinian education under international law; including that it exercises its control over the entry and presence of foreign academics in a manner that avoids unnecessary harm to Palestinian higher education and to the occupied population’s fundamental right to education. Make it incumbent on Israel to adopt and implement a clear documented and transparent policy enabling unhindered access and presence to foreign nationals who are coming to educate or promote educational development in the occupied Palestinian territories. The Executive Committee of the American Comparative Literature Association on Scholars in Palestine.